While the test mule is not as rugged as the concept, the Tiguan GTE Plug-In Hybrid bears a strong resemblance to the Tiguan R-Line, but has a few touches that separate it with the convention model. German car-manufacturers showcased the Volkswagen Tiguan GTE Plug-In Hybrid as a concept at the Detroit Motor Show 2016, and now, two years later, it could be seen that VW has finally made progress. 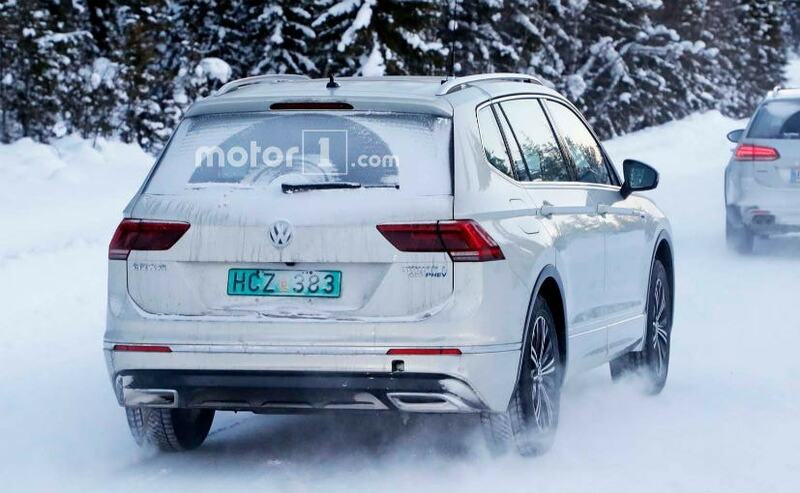 Spotted for the first time without any camouflage, the Volkswagen Tiguan GTE Plug-In Hybrid has stayed true to the concept albeit minor changes before it heads for final production call. While the test mule is not as rugged as the concept, the Tiguan GTE Plug-In Hybrid bears a strong resemblance to the Tiguan R-Line, but has a few touches that separate it with the convention model. According to reports, the VW Tiguan GTE Plug-In hybrid is set to be launched only for the European market right now, while the US market will have to wait for a longer time. 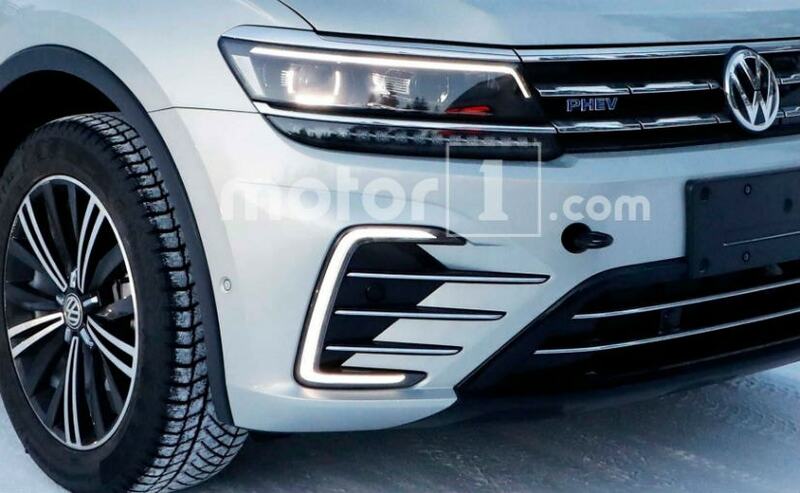 In terms of design, the Tiguan GTE Plug-In Hybrid has the same front fascia as the concept with air vents on the corner and PHEV badging on the front fenders, tailgate and grille. The C-shaped headlamps get LED lightning; similar to those on the Golf GTE and Passat GTE. The charging port is situated on the grille behind a retractable cover besides the VW logo. On the inside, the VW Tiguan GTE Plug-In will get a revised cabin with blue accents, to denote the hybrid powertrain. Expect the infotainment system to be updated which provides information regarding the PHEV. 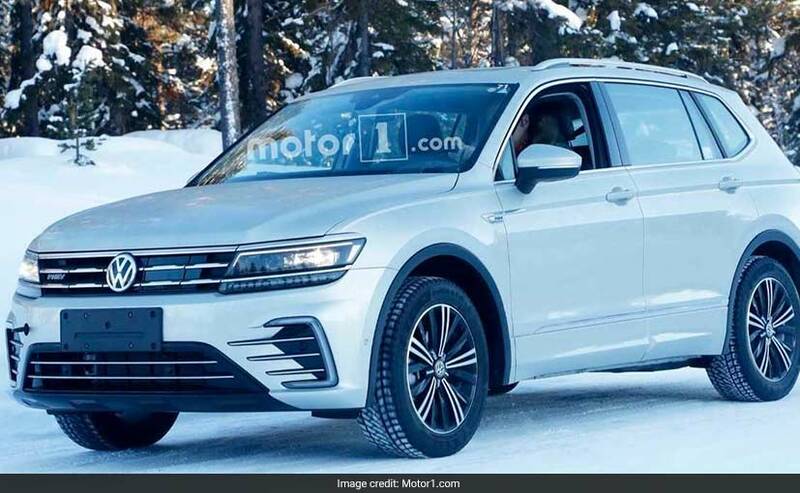 At the heart of the VW Tiguan GTE Plug-In Hybrid will be a 1.4-litre engine, an electric motor and a lithium-ion battery pack to produce a combined 215 bhp and will have a travel range of more than 100kms,, better from the 50kms of the concept from two years ago. The Tiguan GTE Plug-In Hybrid will have the ability to go from standstill to 100kmph in 8.1 seconds and a top speed of 200kmph.